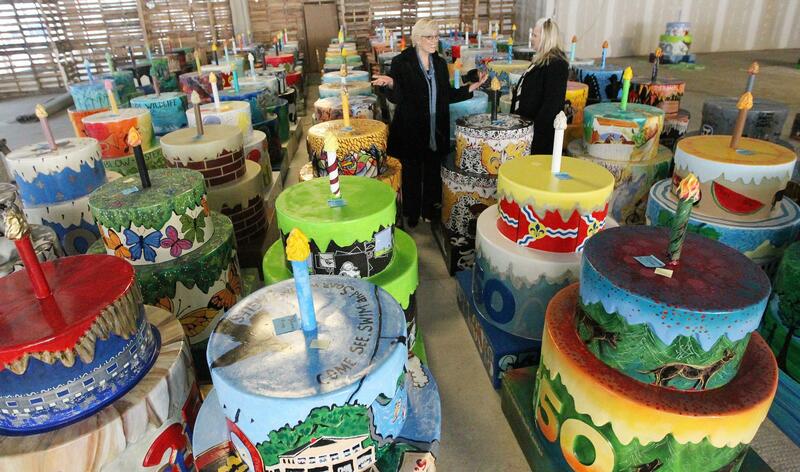 Jill McGuire, Regional Arts Commission Executive Director (L) and communications specialist Kelly McMahon examine some of the plastic birthday cakes made as part of the City of St. Louis' celebration of its 250th birthday. What is St. Louis known for? We know that there are dozens, if not hundreds, more people, places and events that should be on our list of "What's What and Who In St. Louis." And we know that you can help us share that information, so feel free to comment below with your own suggestions. 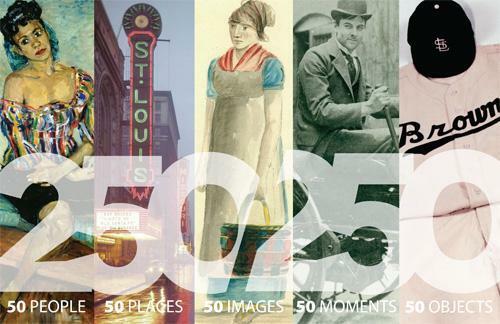 Also, definitely test your knowledge of St. Louis history (OK, more like trivia), with our very un-scientifically constructed "What's What and Who In St. Louis Quiz." It is one of the most famous lawsuits in American history. Unfortunately, there was no audio recording equipment at the time. Dred and Harriet Scott sued for their freedom in 1846 in St. Louis Circuit Court, in what is now the Old Courthouse. 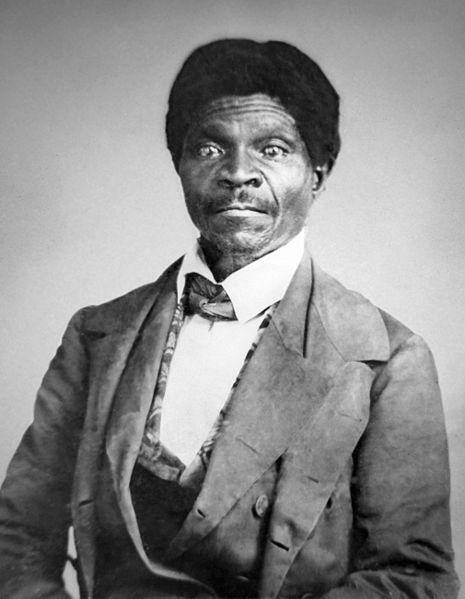 Eventually Dred Scott lost the case in 1857 when the U.S. Supreme Court, in a 7-2 ruling, found that people of African descent were not citizens, and therefore could not sue for their freedom. The decision overturned the Missouri Compromise and hastened the beginning of the Civil War. Unlike previously thought, it was not terribly unusual for slaves to sue for their freedom. More than 300 slaves in St. Louis did so between 1812 and 1865. Here’s a list of the lawsuits from the National Parks Service dating back to 1806. Nearly every American begins school in kindergarten today, but it wasn’t always that way. 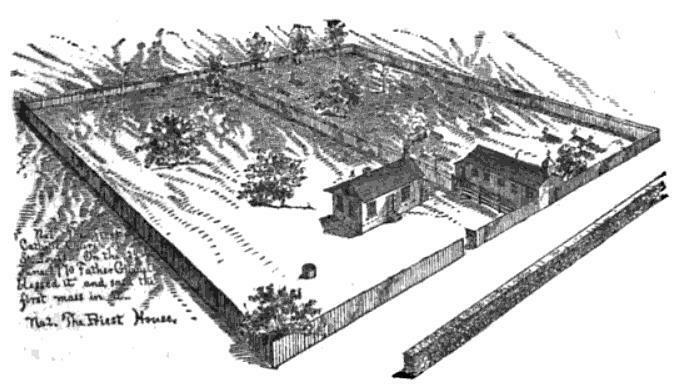 In fact, Susan Blow opened the first public school kindergarten in the U.S. at Des Peres School in Carondelet in 1873. The daughter of a wealthy lead-mining owner in St. Louis, Blow traveled to Europe with her family in 1870. There she became interested in the methods of German philosopher Friedrich Frobel, who created the concept of kindergarten. Just 10 years after opening the first kindergarten class in St. Louis, every public school in the city had one. Blow went on to lecture and teach about early education throughout the country until her death in 1916. By that time, more than 400 cities had kindergartens in public schools. For more information about Susan Blow's work, go to the Missouri History Museum's blog. 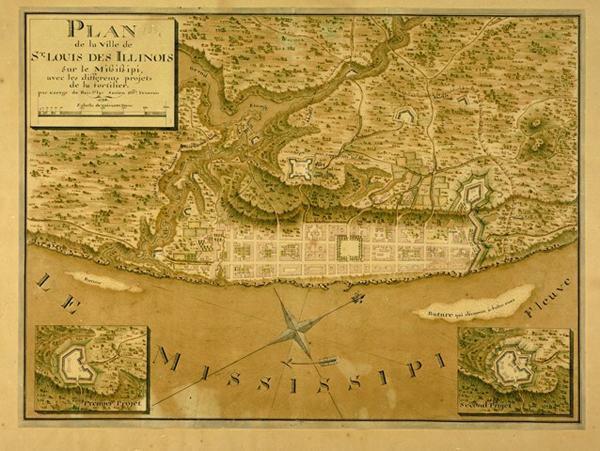 Williams often is identified with the south, and it’s true that he was born in Mississippi and spent his first eight years there. The family moved to St. Louis when Williams' father took a job at the International Shoe Company in about 1919. 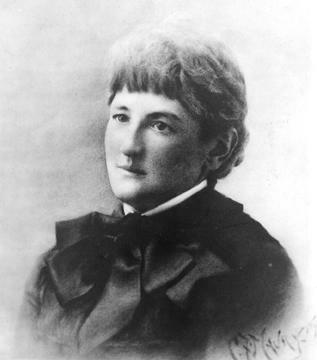 Williams would later attend the University of Missouri and eventually Washington University. Williams’ first big play in 1944, “The Glass Menagerie,” was set in St. Louis. He went on to write hugely successful works, including “A Streetcar Named Desire” and “Cat on a Hot Tin Roof.” He is buried in Calvary Cemetery in St. Louis. 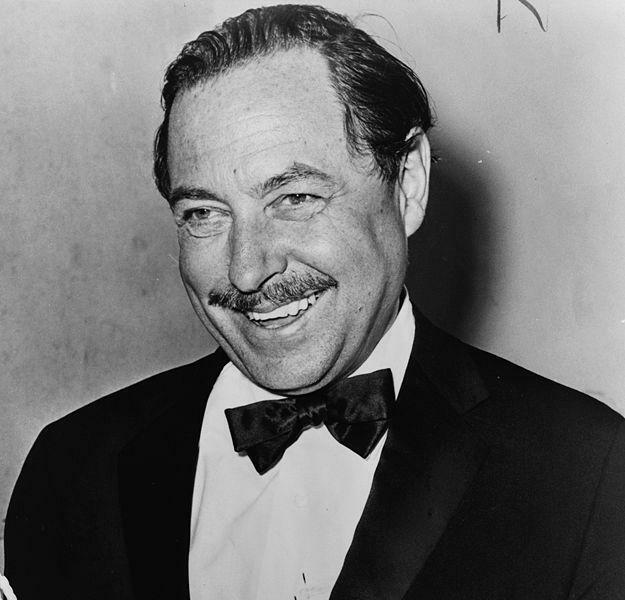 Tennessee Williams reading from the beginning of his play, "The Glass Menagerie." She is perhaps the most controversial person living in the St. Louis area today. Phyllis McAlpin Stewart was born and raised in St. Louis. She graduated from Washington University in 1944 and married attorney John Schlafly, of a prominent St. Louis family, in 1949 and moved to Alton. In 1964 Phyllis Schlafly gained national attention with her self-published book “A Choice, Not an Echo” in support of conservative Republican Barry Goldwater’s campaign for president. She gained prominence in the 1970s, founding the Eagle Forum, and campaigning against the Equal Rights Amendment, which was designed to protect women’s rights. It had passed both the U.S. House and Senate in 1972 and had gained ratification in 22 states by the end of the year. Schlafly’s STOP ERA efforts are credited (and blamed) with slowing the pace of ratification. By 1982 the amendment failed, just three states shy of the necessary 38 needed. 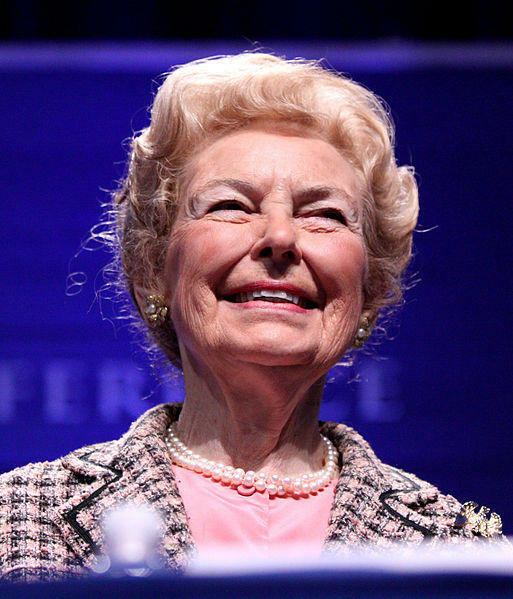 Schlafly received her law degree from Washington University in 1978. In 2008 the university awarded her a Doctor of Humane Letters. During the commencement ceremony where she received the honor many graduates and some professors turned their backs in silent protest. Schlafly talked about working to defeat ERA at an event in Fort Lauderdale, Fla., on March 2, 2007. 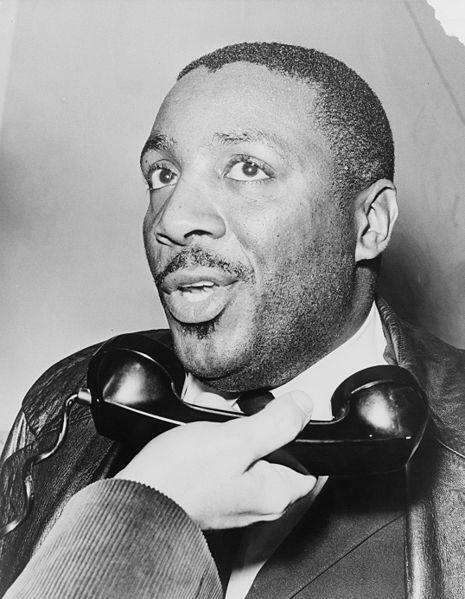 A comedian and civil rights activist, Gregory’s humor often addresses racial issues. He was born and raised in St. Louis and graduated from Sumner High School. Gregory went on to Southern Illinois University Carbondale where he broke several school track records. He got his start in comedy during his two-year stint in the Army, where he participated in talent shows. Gregory participated in the civil rights movement, the anti-war movement during the Vietnam era and has written several books. He also released several comedy albums during the 1960s and 1970s. 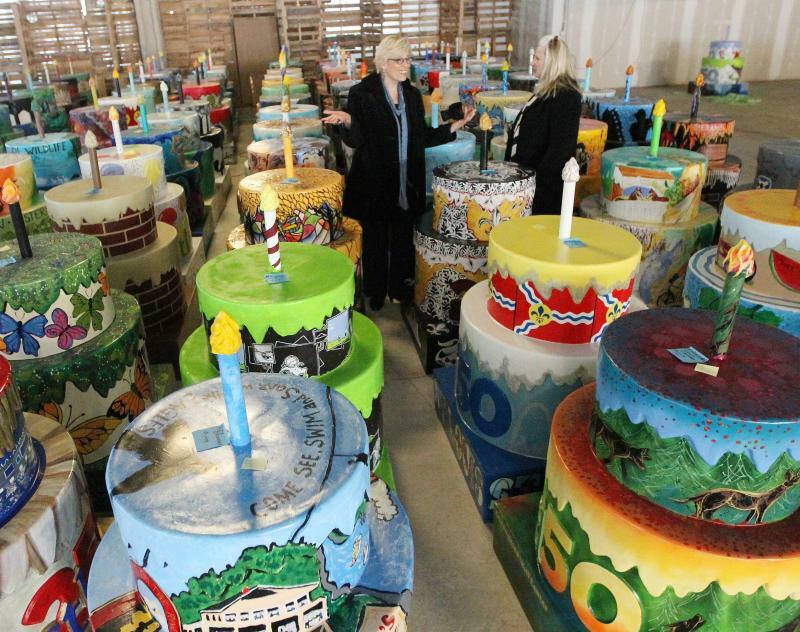 Cakes – lots of cakes – will be distributed throughout the area. Finding the pieces of public art can be a fun family project. NOTE: Because of the unloving weather on Valentine's Day, the Burning Love Festival will be held from 6-9 p.m. Feb. 18. The event will still include vendors, entertainment and the Burnin’ Love 25 foot Heart of Fire. In St. Louis’ first few years, more longtime residents of Cahokia, Prairie du Rocher, Mine La Motte, Old Mines, Mo., Ste. Genevieve and the area moved to Laclede’s fur trading post. Land-owning small farmers, fur traders, miners, merchants from the region’s French settlements all came to Laclede’s settlement. On Friday The Missouri History Museum is hosting “A Great City from the Start,” a one-day symposium commemorating the founding of St. Louis. The foremost experts on early St. Louis history will be speaking before an audience that will include representatives from Quebec, France, Spain and the Osage Nation.